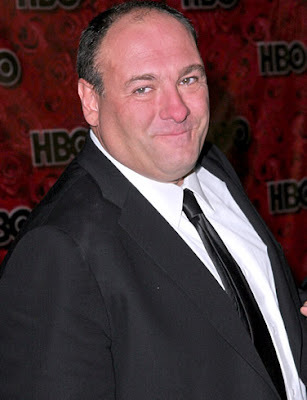 Actor James Gandolfini has died, HBO confirms and USA Today reports. He possibly succumbed to a heart attack while on vacation in Italy, Variety reports. He was 51 years old. "We're all in shock and feeling immeasurable sadness at the loss of a beloved member of our family," said HBO in an official statement. "He was a special man, a great talent, but more importantly a gentle and loving person who treated everyone no matter their title or position with equal respect." "He touched so many of us over the years with his humor, his warmth and his humility," it continued. "Our hearts go out to his wife and children during this terrible time. He will be deeply missed by all of us." The actor will most notably be remembered for his Emmy-winning role as Tony Soprano in the HBO series "The Sopranos," and was recently seen in the films "Zero Dark Thirty" and "The Incredible Burt Wonderstone." Gandolfini was scheduled to appear at Taormina Film Festival on Thursday, Variety reports. He leaves behind a wife, Deborah Lin, a son, Michael, and an 8-month-old daughter. This is a developing story. Updates will be posted as soon as they are made available. UPDATE: An autopsy has confirmed that Gandolfini died of a heart attack, E! News reports. His body will eventually be flown back to New Jersey, his state of birth, for burial.